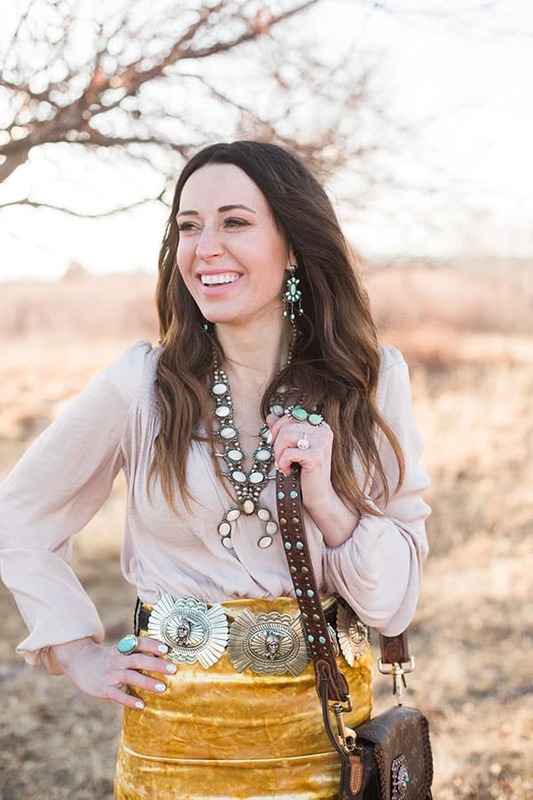 This maker's rich western background is the inspiration for the beautiful pieces that she creates and sells today. All photos courtesy of Goldie Lew Jewelry. “Jazlyn Feild, the creator of Goldie Lew Jewelry, started creating unique pieces long before her dive into the jewelry fashion business. Jazlyn grew up in a small town in Eastern Utah. She was raised around horses, cattle, rodeo, and all things country. Little did she understand then, that this rich western background would be the inspiration for the beautiful pieces that she creates and sells today. 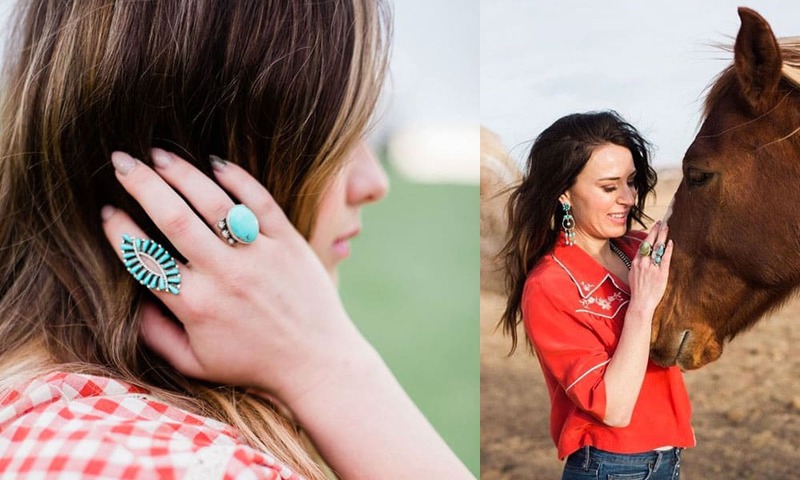 “She got her start creating jewelry in her home in Utah; making jewelry for herself, family, and even friends. Although, as life would have it, she became busy raising three handsome boys and slowly drifted away from her passion. 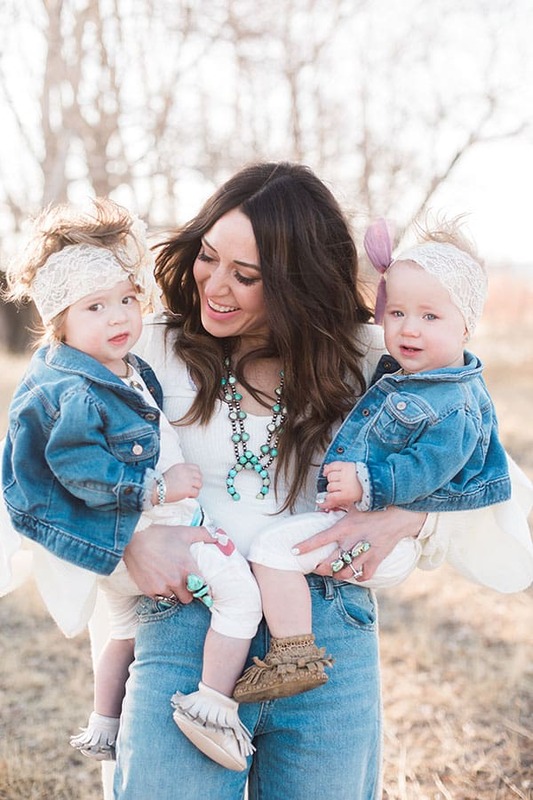 Yet, life threw another loop when Jazlyn became pregnant with her two beautiful twin girls, Goldie True and Poppy Lew. Poppy and Goldie gave Jazlyn the spark to begin creating unique pieces again. However, not only for herself this time, but for her girls, and others were quick to take notice. 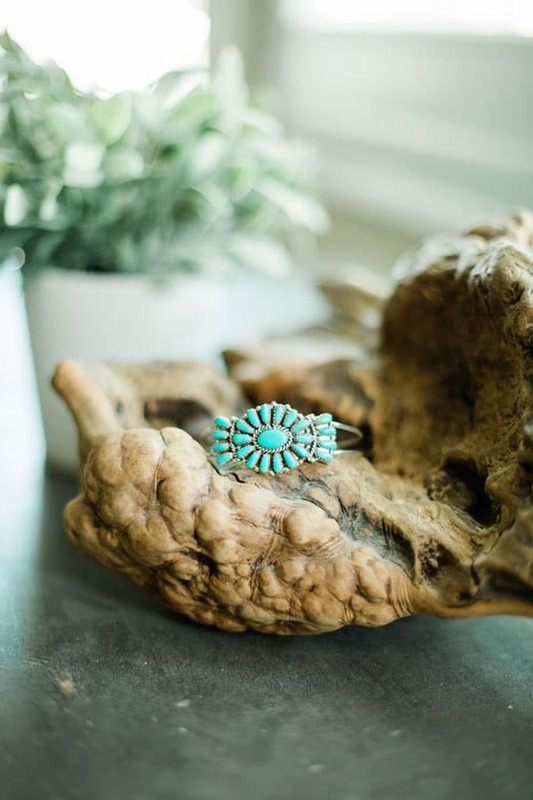 Jazlyn has crafted many beautiful pieces, and here’s several of our favorites. Gold Edge Dolly, $99; goldielew.bigcartel.com. 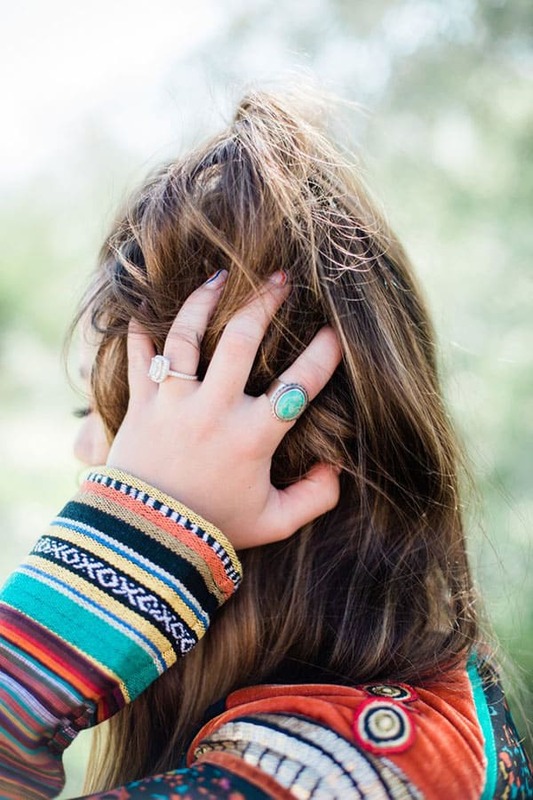 Long Turquoise Stone Ring, $88; goldielew.bigcartel.com. Kitty Turquoise Cuff, $120; goldielew.bigcartel.com. 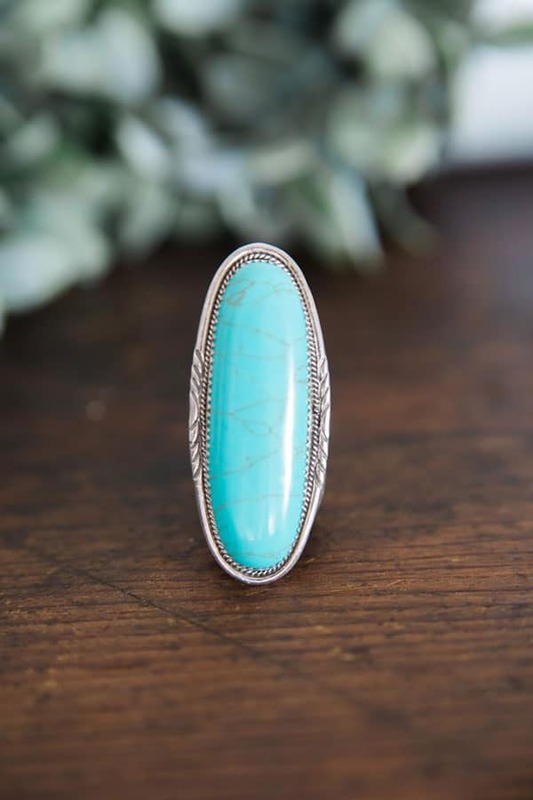 Turquoise Ring with Oval Stone. $125; goldielew.bigcartel.com.